What’s buzzing in our garden? The Thomas Jefferson Foundation Center for Historic Plants will be planting a five-acre garden habitat at Tufton Farm this year and focusing on the establishment of a healthy, thriving garden ecosystem. Over the past several years, the Center has researched the importance of pollinators in the garden just as Thomas Jefferson researched their role in his own gardens. Pollinators, particularly insects, are vital to a flourishing garden community because they pollinate flowers and serve as a food source for garden birds such as hummingbirds, orioles, and cardinals. 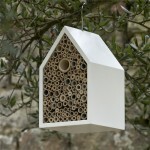 Even if you can’t have bee hives, you can create habitat in your garden or backyard with The Shop’s Insect Hotel! Designed to attract the proper pollinators, the Insect Hotel will improve the quality of your plants’ fertilization and reproduction. The natural bamboo sections of the “hotel” attract wanted pollinators such as the ladybug and the solitary bee. Its stylish design is a sweet and simple touch to your yard or garden and enhances the health of your beautiful plants. 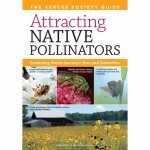 If you’re looking for more advice about pollinators in the garden, check out Attracting Native Pollinators . It details garden plans and techniques that optimize natural pollination and create flowering habitats. 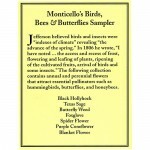 Addditionally, Monticello’s Birds, Bees, & Butterflies Seed Sampler offers a collection of flowers that attract the essential pollinators and liven up your backyard ecosystem.